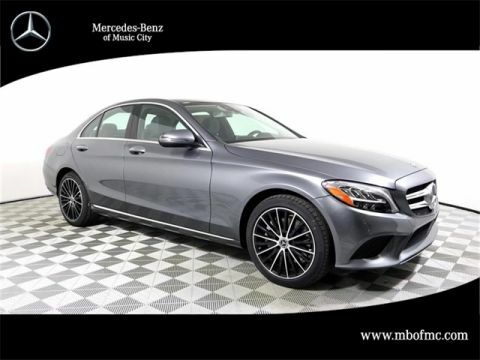 Lunar Blue Metallic 2019 C-Class C 300 4MATIC® 4MATIC® 9-Speed Automatic 2.0L I4 Turbocharged 4MATIC®. 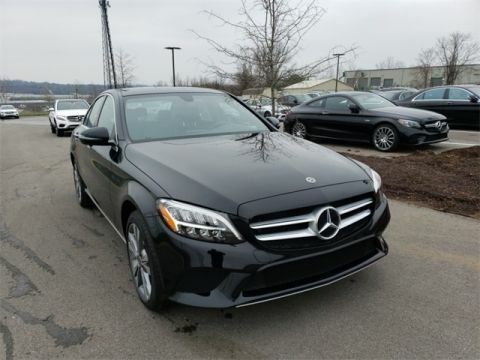 Please reach out: in case we missed a picture or a detail you would like to see of this 2019 C-Class, we are happy to send you A PERSONAL VIDEO walking around the vehicle focusing on the closest details that are important to you. 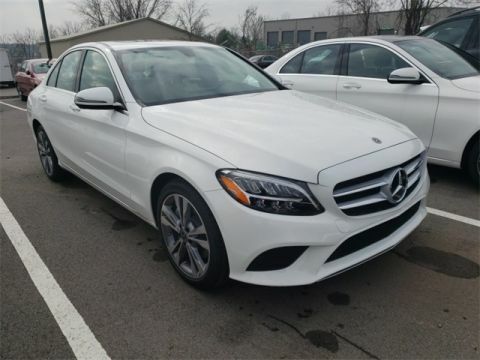 We can send it directly to you via text, email , or Facebook messenger. We look forward to hearing from you! 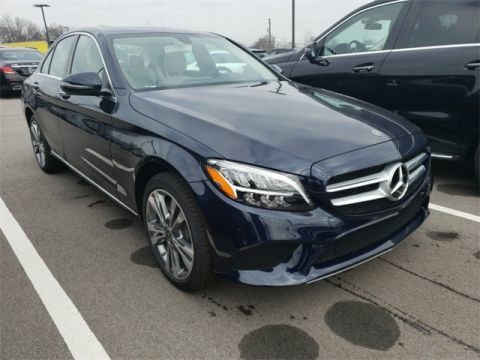 22/33 City/Highway MPGLunar Blue Metallic 2019 C-Class C 300 4MATIC® 4MATIC® 9-Speed Automatic 2.0L I4 Turbocharged 4MATIC®. 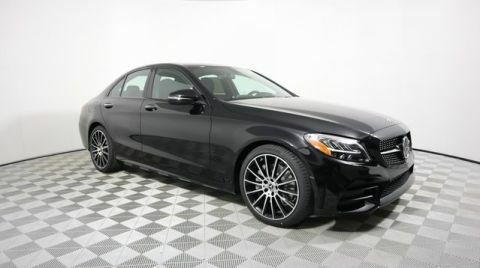 Black 2019 C-Class C 300 4MATIC® 4MATIC® 9-Speed Automatic 2.0L I4 Turbocharged 4MATIC®. 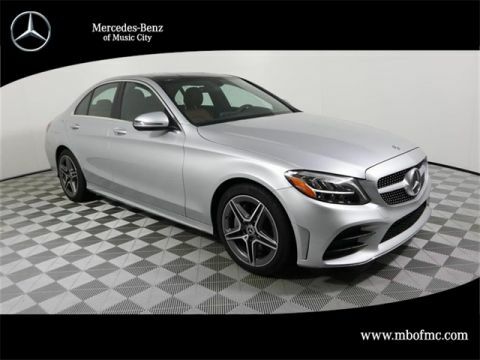 Please reach out: in case we missed a picture or a detail you would like to see of this 2019 C-Class, we are happy to send you A PERSONAL VIDEO walking around the vehicle focusing on the closest details that are important to you. We can send it directly to you via text, email , or Facebook messenger. We look forward to hearing from you! 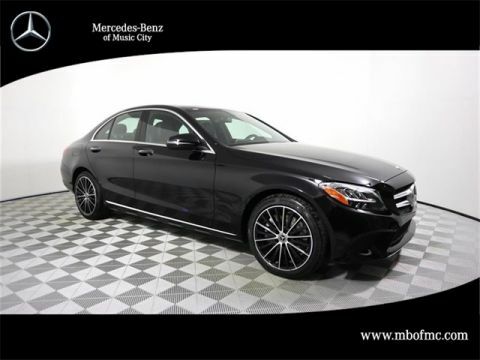 22/33 City/Highway MPGBlack 2019 C-Class C 300 4MATIC® 4MATIC® 9-Speed Automatic 2.0L I4 Turbocharged 4MATIC®. 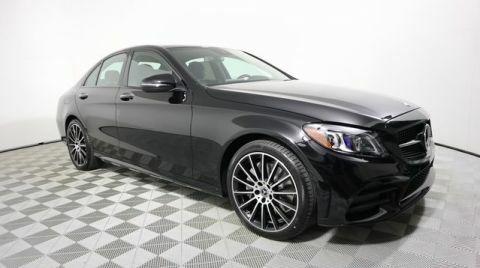 Black 2019 C-Class C 300 RWD 9-Speed Automatic 2.0L I4 Turbocharged *Blind Spot Technology - Never Worry When Changing Lanes Again*, *Bluetooth® Hands-Free Calling*, *Heated Front Leather Seats*, *Navigation*, *Panoramic Moonroof*, *Power Folding Mirrors*, *Premium Audio*, *Premium Stereo*, *Premium Wheels*, *Rear View Back-Up Camera*, *Remote Start*, Adaptive Highbeam Assist, AMG® Line, AMG® Line Exterior, AMG® Line Interior, AMG® Body Styling, Black Fabric Headliner, Braking System w/Perforated Front Discs, Brushed Aluminum Sport Pedals w/Rubber Studs, Diamond Grille, Electronic Trunk Closer, Exterior Lighting Package, Flat-Bottom Sport Steering Wheel, HANDS-FREE ACCESS, HANDS-FREE Comfort Package, KEYLESS GO®, LED Intelligent Light System, Multifunction Sport Steering Wheel, Night Package, Night Package Code, Premium Package, SiriusXM Satellite Radio, Sport Suspension w/Sport Steering System. 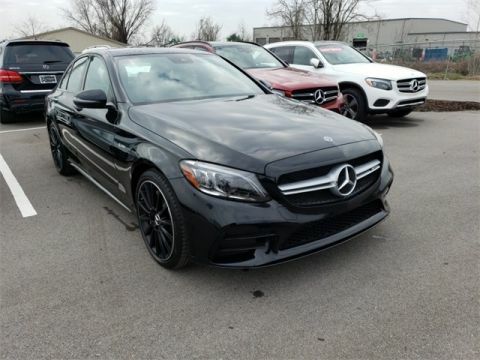 Please reach out: in case we missed a picture or a detail you would like to see of this 2019 C-Class, we are happy to send you A PERSONAL VIDEO walking around the vehicle focusing on the closest details that are important to you. We can send it directly to you via text, email , or Facebook messenger. We look forward to hearing from you! 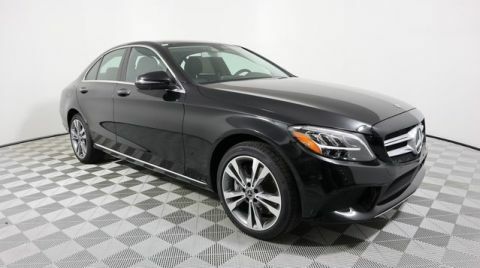 23/34 City/Highway MPGBlack 2019 C-Class C 300 RWD 9-Speed Automatic 2.0L I4 Turbocharged *Blind Spot Technology - Never Worry When Changing Lanes Again*, *Bluetooth® Hands-Free Calling*, *Heated Front Leather Seats*, *Navigation*, *Panoramic Moonroof*, *Power Folding Mirrors*, *Premium Audio*, *Premium Stereo*, *Premium Wheels*, *Rear View Back-Up Camera*, *Remote Start*, Adaptive Highbeam Assist, AMG® Line, AMG® Line Exterior, AMG® Line Interior, AMG® Body Styling, Black Fabric Headliner, Braking System w/Perforated Front Discs, Brushed Aluminum Sport Pedals w/Rubber Studs, Diamond Grille, Electronic Trunk Closer, Exterior Lighting Package, Flat-Bottom Sport Steering Wheel, HANDS-FREE ACCESS, HANDS-FREE Comfort Package, KEYLESS GO®, LED Intelligent Light System, Multifunction Sport Steering Wheel, Night Package, Night Package Code, Premium Package, SiriusXM Satellite Radio, Sport Suspension w/Sport Steering System. 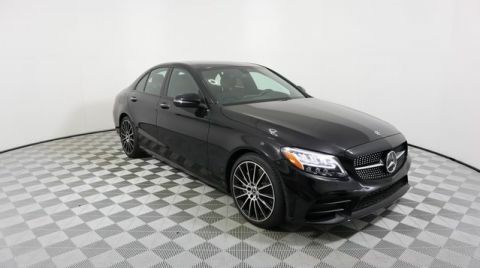 Obsidian Black Metallic 2019 C-Class C 300 4MATIC® 4MATIC® 9-Speed Automatic 2.0L I4 Turbocharged 4MATIC®. 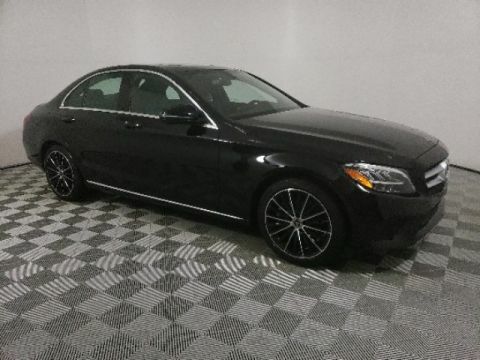 Please reach out: in case we missed a picture or a detail you would like to see of this 2019 C-Class, we are happy to send you A PERSONAL VIDEO walking around the vehicle focusing on the closest details that are important to you. We can send it directly to you via text, email , or Facebook messenger. We look forward to hearing from you! 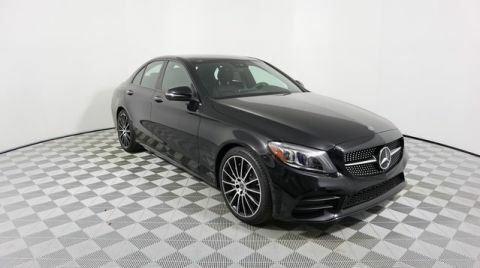 22/33 City/Highway MPGObsidian Black Metallic 2019 C-Class C 300 4MATIC® 4MATIC® 9-Speed Automatic 2.0L I4 Turbocharged 4MATIC®. 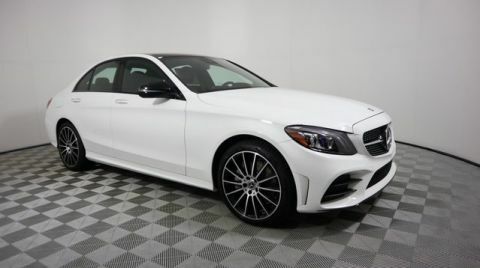 White 2019 C-Class C 300 4MATIC® 4MATIC® 9-Speed Automatic 2.0L I4 Turbocharged 4MATIC®. 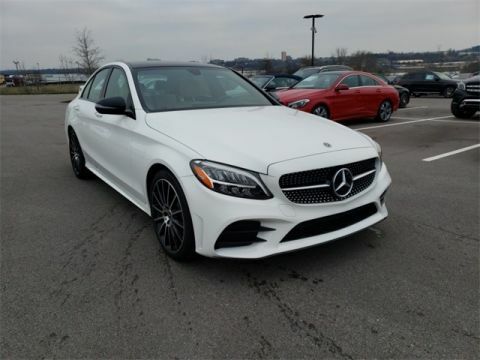 Please reach out: in case we missed a picture or a detail you would like to see of this 2019 C-Class, we are happy to send you A PERSONAL VIDEO walking around the vehicle focusing on the closest details that are important to you. We can send it directly to you via text, email , or Facebook messenger. We look forward to hearing from you! 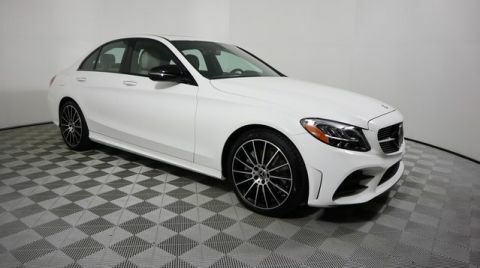 22/33 City/Highway MPGWhite 2019 C-Class C 300 4MATIC® 4MATIC® 9-Speed Automatic 2.0L I4 Turbocharged 4MATIC®.